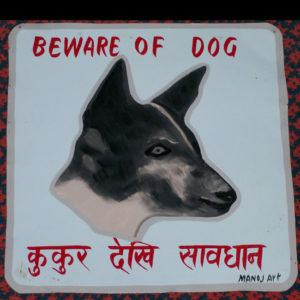 The ‘barkless dog of Africa’ is well represented in this ‘Beware of Basenji portrait by Baba. This naive outsider piece is by Manoj of Pokhara. 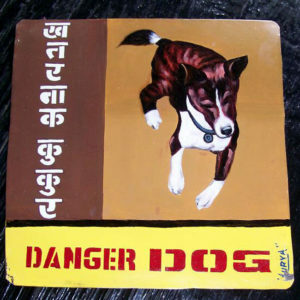 This beware of Basenji sign is very much like the tradtional signs that inspired this fair trade art project. 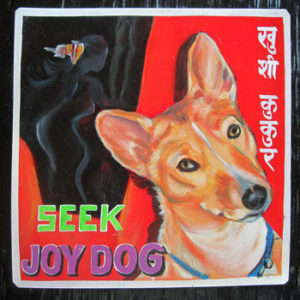 Nayru the Basenji by Sagar is a colorful example of a happy joyful dog. The artist Sagar Bitsa has added a mysterious lady in the top corner. 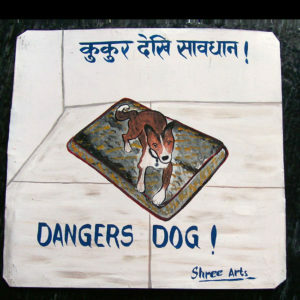 Murphy the Basenji is a ‘Dangers Dog’ in his painting by Shree Lamachhaine of Pokhara. 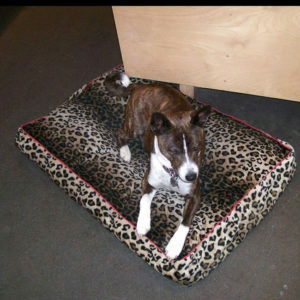 Murphy the handsome Basenji in person. 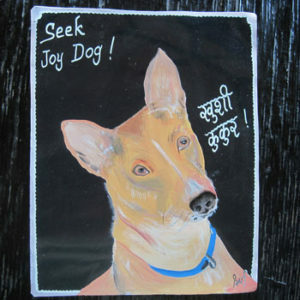 This hand painted portrait of the famous barkless dog of Africa, the charming Basenji named Nayru, is by Sufraj Khadka. The black background is a nice counterpoint to a beautiful and intelligent dog.